As you are aware, ExitReality has recently acquired Twinity. We are equally aware that Twinizens have many questions about this. Here is a summary of the questions we have received so far, and ExitReality’s answers to them. Q: Where can I find out more about the acquisition? Q: What are ExitReality’s plans for Twinity? A: We want to help Twinity grow and become part of a great suite of ExitReality virtual/3D offerings. Q: Things have been stagnant for several months now, will this change? A: Yes. As part of ExitReality, Twinity will have access to more resources for things like customer support, server support and server maintenance. Q: Will anything change about VIP memberships. A: Changes are likely eventually, but none are planned for the immediate future. Future changes are likely because with any premium offering, we constantly look for ways to make it more attractive for people to purchase. This means that you should not see negative changes when they eventually come. Q: Will the cities be reactivated, if so when? Q: If the cities come back, will city real estate be rentable or only available for purchase? Q: Will Age Verification be added so we do not have to have an Access Passes for adult content? Access Passes: These will stay as a separate 1-time purchase option. This must remain a separate option to ensure that no one is exposed to such content unknowingly or unwillingly. Q: Will Twinity continue to be an adult only world? 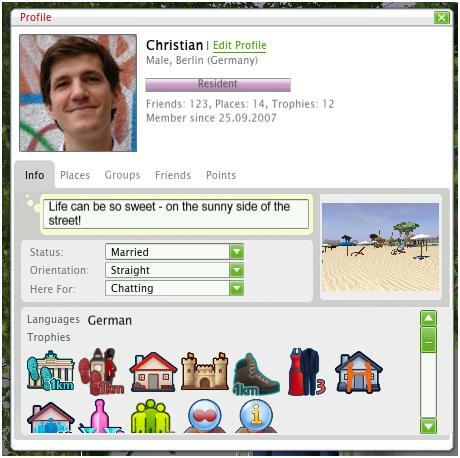 A: Yes – younger users are encouraged to try ExitReality’s music virtual world called vSide. Learn more about it here. Q: Will someone be continuing to monitor social media? A: Yes, and you will see a great deal more activity on social media from us. Q: Will anyone from the Metaversum team become part of the ExitReality team? A: Various resources are being evaluated to see where they will perform best. Twinity’s lead community manager Carolyn will continue in her current role for ExitReality. Key people that will not be joining the ExitReality team, such as the Metaversum CEO will still assist with transition efforts and knowledge transfer as long as needed. Q: Will the community team be expanded? A: Our community manager has fully deployed the new moderator and mentor groups, this should address many issues. Additional staff are already assisting in community management. We will continually review the structure and modify it as needed to ensure quality experiences and responsiveness for our members. Q: Will there be new servers? A: Yes, everything will be moved from Metaversum to ExitReality servers. Q: When things go wrong will we be made aware of what is going on? Q: Will our website be changed to provide faster access to information about server status or problems? Q: Does ExitReality have set downtimes for updates / maintenance? A: Yes, notifications will be made regarding planned downtimes. However through the transition if anything does fall over we will make our best efforts to respond promptly. Q: Where are the servers moving to? Q: Will there be a re-grand opening / launch? Q: When will we come out of Beta? Q: Will there be a global buyback system to encourage our content creators? Q: Will any ExitReality staff meet with us inworld periodically? Q: When will we see new client updates? A: We do not have projected dates yet as this is dependent on how well the server and programming transitions go. We don’t want to give dates at this point and raise expectations that unforeseen migration issues would prevent us from meeting. Q: Does ExitReality use voice chat? If so, will it return to Twinity? Q: Will the casino be brought back? Q: Will other games such as slot machines and card games be added? Q: Will we be able to right click on a person to automatically submit their specific account ID when reporting them like you can do in vSide? Q: Will we get the ability to clear all Twinity mail messages with one button click? A: Specific code updates are not determined yet. This will be reviewed when we are further into the transition process. Staff members at both Twinity and ExitReality are excited about Twinity’s potential and are really looking forward to seeing the community and the technology continue to grow. Twinity New Update, just in time! It took the team a bit of time to have the new Twinity Update ready, but we really wanted to deliver it as a very special Christmas present to all you and it is finally here! Apart from releasing the Activity System, we are also fixing some bugs you had reported to us. To start, we changed the buttons of the Toolbar Menu and added a new Tasks button where you can find many different activities to complete, earn points, level up and unlock features. We adapted the existing Welcome Tour to improve the new user experience and we will be rolling out different activities in upcoming updates for the Twinizens who already mastered the basics. When you start Twinity after the update, each of you will have a different level in game. It depends on many factors, that you can find out more about clicking on the star in the upper left corner, next to the Twinity logo. Each level activates a certain feature in Twinity: this way new users have not so many options at start so they can focus on learning the main parts. Have fun with the new client! 2. We optimized many database requests, so now you get faster results if you open the Places menu and the Community menus. As there was also quite a bit of code cleanup (especially in the parts for gifting, buying, logging in, friend handling), I really hope we did not break anything. Please let us know using “Send feedback” if you spot new bugs. Next update is already in the pipeline: yet another update to our places menu, that will make it faster and easier to use and will show top Twinity places more prominent. Next Twinity update and NEW VIP Pass! the next Twinity update is scheduled for Wednesday 10th of August and it comes full of fixes and new additions! Apart from bringing back the Achievements button to the interface and making the loading of your friends list faster, this update also introduces the VIP Pass that will maximize your Twinity experience. 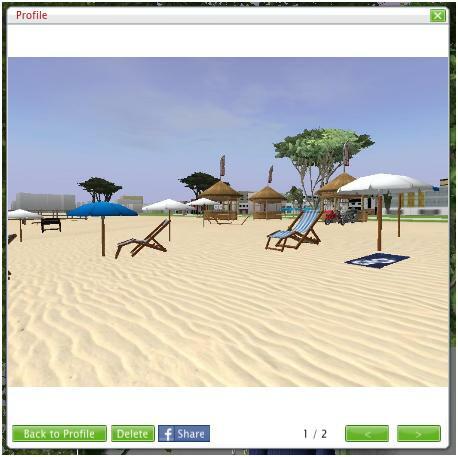 As we informed you in the presentation events of this new feature, the VIP Pass comes with 300 Globals monthly, it will allow you to buy with a 5% discount in all the items sold by Twinity, it will give you access to exclusive items such as VIP clothes, animations or floorplan templates and will also allow you to edit the colour of your name. Here you have a sneak peak! If you have questions or concerns about the fixes and new additions to Twinity, please send an email with your enquiry to support@twinity.com! If you have questions or experience issues let us know with an email to support@twinity.com! a long awaited feature finally arrives to Twinity! Starting this weekend the new Access Pass will be available on the Twinity website. That means from now on people that you meet in Twinity will have the possibility to show that they are above 18. A special icon above the avatar displays that you are Access Pass holder. Places and items rated as adult with the red triple x will be only available for Twinizens with the Access Pass and only them will be able to receive adult items as gift. Remember that as stated time ago, this pass is a one time only payment! 1. We have now a very brand new special location for the Dance Challenge called “Party Island”. You can visit anytime or join the event tomorrow 😀 to check on the high-score lists displaying the best players and the additions we made to the Twinity Jukebox! 6. Bugfix: It is now possible again to enter Marius skate shop, so go and get your skateboards ready! If you opened today in the afternoon Twinity.com without being logged in, you probably noticed some changes 😀 We did modify the interface for new users with an initial slide showing the many different possibilities that Twinity has to offer. In addition, the Choose Your Free Avatar! button takes you to a new way to start in Twinity: the Avatar Selector. You can check the 15 different new default avatars before you login in the client and decide what suits you best! Do you like them? Which one would you choose?